Fitzrovia (/fɪtsˈroʊviə/) is a district in central London, near London's West End, lying partly in the City of Westminster (in the west) and partly in the London Borough of Camden (in the east); north of Oxford Street and Soho between Bloomsbury and Marylebone. It is characterised by its mixed-use of residential, business, retail, education and healthcare, with no single activity dominating. The historically bohemian area was once home to such writers as Virginia Woolf, George Bernard Shaw and Arthur Rimbaud. Although often described as upmarket and home to some celebrities, like much of inner London, Fitzrovia residents have a wide disparity of wealth and the area contains a mix of affluent property owners as well as many private, council and housing association tenants. The neighbourhood is classified as above-averagely deprived, and parts of it have the worst living environment in the country according to a government report that ranked sub-wards by quality of housing, air quality and the number of road traffic accidents. In 2016, The Sunday Times named the district as the best place to live in London. The name Fitzrovia was recorded in print for the first time by Tom Driberg MP in the William Hickey gossip column of the Daily Express in 1940. The writer and dandy Julian MacLaren-Ross recalled in his Memoirs of the Forties that Meary James Thurairajah Tambimuttu aka "Tambi", editor of Poetry London, had used the name Fitzrovia. Tambi had apparently claimed to have coined the name Fitzrovia. By the time Julian Maclaren-Ross met Tambimuttu and Dylan Thomas in the early 1940s this literary group had moved away from the Fitzroy Tavern, which had become a victim of its own success, and were hanging out in the lesser-known Wheatsheaf and others in Rathbone Place and Gresse Street. Maclaren-Ross recalls Tambimuttu saying: "Now we go to the Black Horse, the Burglar's Rest, the Marquess of Granby, The Wheatsheaf... in Fitzrovia." Maclaren-Ross replied: "I know the Fitzroy" to which Tambimuttu said: "Ah, that was in the Thirties, now they go to other places. Wait and see." Tambimuttu then took him on a pub crawl. For a list of street name etymologies in Fitzrovia see: Street names of Fitzrovia. Map featuring the Fitzrovia area (top half of map), 1804. The north is to the right-hand side. The Fitzroy Tavern was named after Charles FitzRoy (later Baron Southampton), who first developed the northern part of the area in the 18th century. FitzRoy purchased the Manor of Tottenhall and built Fitzroy Square, to which he gave his name; nearby Fitzroy Street also bears his name. The square is the most distinguished of the original architectural features of the district, having been designed in part by Robert Adam. The south-western area was first developed by the Duke of Newcastle who established Oxford Market, now the area around Market Place. By the beginning of the 19th century, this part of London was heavily built upon, severing one of the main routes through it, Marylebone Passage, into the tiny remnant that remains today on Wells Street, opposite what would have been the Tiger public house — now a rubber clothing emporium. In addition to Fitzroy Square and nearby Fitzroy Street, there are numerous locations named for the FitzRoy family and Devonshire/Portland family, both significant local landowners. Charles FitzRoy was the grandson of Charles FitzRoy, 2nd Duke of Grafton, hence Grafton Way and Grafton Mews. William Bentinck, 2nd Duke of Portland and his wife Margaret Harley lend their names to Portland Place, Great Portland Street and Harley Street. Margaret Harley was daughter of Edward Harley, 2nd Earl of Oxford and Earl Mortimer, for whom Oxford Street (the southern boundary of Fitzrovia) and Mortimer Street are named. The Marquessate of Titchfield is a subsidiary title to the Dukedom of Portland, hence Great Titchfield Street. William Cavendish-Bentinck, 3rd Duke of Portland (Prime Minister) married Dorothy Cavendish, daughter of William Cavendish, 4th Duke of Devonshire (also Prime Minister), and they lend their names to New Cavendish Street, Cavendish Square and Devonshire Street. The name of the Grafton family's country estate is Euston Hall, which is the origin of the name for Euston Station and Euston Road. Much of Fitzrovia was developed by minor landowners and this led to a predominance of small and irregular streets – in comparison with neighbouring districts like Marylebone and Bloomsbury, which were dominated by one or two landowners, and were thus developed more schematically, with stronger grid patterns and a greater number of squares. Two of London's oldest surviving residential walkways can be found in Fitzrovia. Colville Place and the pre-Victorian Middleton Buildings (built 1759) are in the old London style of a way. The most prominent feature of the area is the BT Tower, Cleveland Street, which is one of London's tallest buildings and was open to the public until an IRA bomb exploded in the revolving restaurant in 1971. Another notable modern building is the YMCA Indian Student Hostel on Fitzroy Square, one of the few surviving buildings by Ralph Tubbs. The site of the Middlesex Hospital, a large part of Fitzrovia, had been acquired by the property developer Candy and Candy which demolished the hospital to make way for a housing and retail development called Fitzroy Place. The Candy brothers' scheme, which was unpopular with local people, failed during the 2008 credit crunch. Stanhope plc took over the project and proposed a short term project which would allow residents to create temporary allotments on the site until a new development was started. However, the Icelandic bank Kaupthing, which had a controlling interest in the site, announced in March 2010 its intention to sell the site on the open market and cancelled the allotments project. In July 2010, the site passed into the ownership of Aviva Investments and Exemplar Properties. A planning application for the new Middlesex Hospital project was submitted in August 2011 and it is understood that Exemplar would commence the redevelopment works in January 2012. The new Middlesex Hospital development was completed in 2014. Separately Derwent London plc, acquired 800,000 square feet (74,000 m2) of property in the area to add to its existing Fitzrovia portfolio after a merger with London Merchant Securities. The company then held about 1,000,000 square feet (93,000 m2) of property over more than 30 sites in Fitzrovia. In November 2009 the company announced plans to transform part of Fitzrovia into a new retail destination with cafes and restaurants. Derwent London created the Fitzrovia Partnership, a then-business partnership with Arup, Make Architects and City of London Corporation, with the support of the London Borough of Camden. In July 2010 Derwent London showcased plans for the redevelopment of the Saatchi & Saatchi building in Charlotte Street. Plans produced by Make Architects proposed increasing the density of the site by 50 percent and adding shops, cafes and a small open space. Today, over 128,000 people work within 0.5 miles of Fitzrovia, according to the Fitzrovia Partnership's 2014 Economic Report. There was local-community objection over plans announced in July 2010 to demolish and redevelop the site of an 18th-century building in Cleveland Street, originally a poorhouse for the parish of St Paul Covent Garden, and later the Cleveland Street Workhouse. Fitzrovia is bounded by Euston Road to the north, by Oxford Street to the south, by Gower Street to the east and by Great Portland Street to the west. In 2014 Camden Council and Westminster City Council designated east and west areas as distinctive planning policy areas. Fitzrovia was a notable artistic and bohemian centre from a period dating roughly from the mid-1920s until the present day. Amongst those known to have lived locally and frequented public houses in the area such as the Fitzroy Tavern and the Wheatsheaf are Augustus John, Quentin Crisp, Dylan Thomas, Aleister Crowley, the racing tipster Prince Monolulu, Nina Hamnett and George Orwell. The Newman Arms on Rathbone Street, features in Orwell's novels 'Keep the Aspidistra Flying (1936) and Nineteen Eighty-Four (1949), as well as the Michael Powell film Peeping Tom (1960). Thomas Paine's Rights of Man (1791) was published during his residence at 154 New Cavendish Street, in reply to Edmund Burke (author of Reflections on the Revolution in France, 1790), who lived at 18 Charlotte Street. Artists Richard Wilson and John Constable lived at 76 Charlotte Street at various times. During the 19th century, painters Walter Sickert, Ford Madox Brown, Thomas Musgrave Joy and Whistler lived in Fitzroy Square. George Bernard Shaw and Virginia Woolf also resided at different times on the square, at number 29. French poets Arthur Rimbaud  and Paul Verlaine lived for a time in Howland Street in a house on a site now occupied by offices. Modernist painter Wyndham Lewis lived on Percy Street. The house of Charles Laughton and Elsa Lanchester on Tottenham Street now shows a commemorative blue plaque. 97 Mortimer Street, where H. H. Munro (Saki) lived, now has a blue plaque commemorating his time there. Colin MacInnes author of Absolute Beginners (1959) also resided on Tottenham Street, at number 28, with his publisher Martin Green and his wife Fiona Green. X. Trapnel, the dissolute novelist (based on the real Julian MacLaren-Ross) in Anthony Powell's Books Do Furnish a Room (1971), spends much of his time holding forth in Fitzrovia pubs. In Saul Bellow's The Dean's December (1982), the eponym, Corde dines at the Étoile, Charlotte Street, on his trips to London, and thinks he "could live happily ever after on Charlotte Street";:p81 Ian McEwan quotes this in Saturday (2005). :p123 McEwan lived in Fitzroy Square, and his novel takes place in the area. Chartist meetings were hosted in the area, some attended by Karl Marx, who is known to have been to venues at Charlotte Street, Tottenham Street and Rathbone Place. The area became a ganglion of Chartist activities after the Reform Act 1832 and was host to a number of working men's clubs including The Communist Club at 49 Tottenham Street. The UFO Club, home to Pink Floyd during their spell as the house band of psychedelic London, was held in the basement of 31 Tottenham Court Road. Pink Floyd and Jimi Hendrix also played at the Speakeasy on Margaret Street and Bob Dylan made his London debut at the King & Queen pub on Foley Street. Oxford Street's 100 Club is a major hot-bed for music from the 1960s to the present day, and has roots in 1970s Britain's burgeoning Punk rock movement. The band Coldplay formed in Ramsay Hall, a University College London accommodation on Maple Street in Fitzrovia. Boy George lived in a squat in Carburton Street in 1981 prior to his success and Neil Howson of Age of Chance lived in Cleveland Street around the same time. Fitzrovia is also the location of Pollock's Toy Museum, home to erstwhile Toy Theatre, at 1 Scala Street. At the back of Pollocks and in the next block was the site in 1772 of the Scala Theatre, Tottenham Street – then known as the Cognoscenti Theatre – but it had many names over history: the King's Concert Rooms, the New Theatre, the Regency Theatre, the West London Theatre, the Queen's Theatre, the Fitzroy Theatre, the Prince of Wales and the Royal Theatre until its demolition in 1903 when the Scala Theatre was built on the site for Frank Verity and modelled on La Scala in Milan. It was home to music hall, ballet and pantomime. Before its demolition in 1969, to make way for the office block and hotel that exists now, it was used inside for the filming in 1964 of the Beatles' film A Hard Day's Night, the Mr Universe World competitions, and Sotheby's Auction in 1968 of the Diaghilev costumes and curtains. It was also briefly in the 1970s, in the basement of the office block, the site of the Scala Cinema and later still of Channel 4 Television. The branch of Bertorelli's Italian Restaurant on Charlotte Street was prominently featured in the film Sliding Doors. Guy Ritchie more recently made RocknRolla using Charlotte Mews, which also features in the film Viva Fitzrovia by Paolo Sedazzari. In its early days, it was largely an area of well-to-do tradesmen and craft workshops, with Edwardian mansion blocks built by the Quakers to allow theatre employees to be close to work. Modern property uses are diverse, but Fitzrovia is still well known for its fashion industry, now mainly comprising wholesalers and HQs of the likes of Arcadia Group. New media outfits have replaced the photographic studios of the 1970s–90s, often housed in warehouses built to store the changing clothes of their original industry — fashion. Dewar Studios, leading fashion and modelling photographers based in Great Titchfield Street continue the traditional link to studios. Charlotte Street was for many years the home of the British advertising industry and is now known for its many and diverse restaurants. Today the district still houses several major advertising agencies including Saatchi & Saatchi and TBWA as well as CHI & Partners, Fallon, Dare Digital and Target Media Group. However, the modular ex-BT building occupied by McCann-Erickson was demolished in 2006 after the firm moved to an art deco home in nearby Bloomsbury. A number of television production and post-production companies are based in the area, MTV Networks Europe, Nickelodeon, rogue and CNN Europe being headquartered here. ITN used to be based at 48 Wells Street during the 1980s, with its Factual Department still housed on Mortimer Street, and Channel 4 was, until 1994, situated on Charlotte Street, and talkbackTHAMES is currently based on Newman Street, with additional offices at 1 Stephen Street. Dennis Publishing is based close by, on Cleveland Street, and London's Time Out magazine and City Guide is created and edited on Tottenham Court Road on the eastern border of Fitzrovia. Many other media companies are based within the area, including Informa, Arqiva and Digital UK. Reflecting Fitzrovia's connections with the avant-garde the area has a concentration of commercial art galleries and dealers. Hellmuth, Obata and Kassabaum, an international firm of architects, interior designers, landscape architects, urban planners and advanced strategists are based in the Qube on Whitfield Street, along with Make Architects. Derwent London also have a showroom in Whitfield Street. Derwent London own about one million square feet of property in Fitzrovia: about one fifth of their total portfolio The Langham Estate have a similarly sized land holding in West Fitzrovia. A number of structural engineering consultants are based in offices on Newman Street and the world headquarters of Arup is on Fitzroy Street although they own many of the surrounding buildings (which are in the process of being redeveloped into modern offices). There were once many hospitals (including Middlesex Hospital, which closed in 2006, and St Luke's Hospital for the Clergy, now re-opened after refurbishment). A handful of embassies (El Salvador, Mozambique, Turkmenistan and Croatia) nestle amongst the many and varied public houses. Retail use spills into parts of Fitzrovia from Oxford Street and Tottenham Court Road, which are two of the principal shopping streets in central London. The Fitzrovia Partnership was formed in 2009 as "a business-led initiative bringing together local businesses to add value and make a tangible difference to the management of Fitzrovia." Since August 2012, the Fitzrovia Partnership has been a formal Business Improvement District (BID). Activities have included installation of Christmas lighting in Tottenham Court Road, Charlotte Street and Fitzroy Street, an annual Christmas market, Feast at Fitzrovia summer festival, and a commitment to local job creation, support for small businesses and a focus on sustainability and improving air quality. In 2011, the BID came in for criticism, with damage to trees in Charlotte Street by Christmas lighting described by the Fitzrovia News as vandalism. The BID also operates a separate "consumer" facing brand – Enjoy Fitzrovia – to promote the area as a destination for shopping, eating, and art within London's West End. In October 2014, The Fitzrovia Partnership teamed up with local resident Griff Rhys Jones to create the Dylan Thomas in Fitzrovia festival, a week of poetry, art and comedy across the area, celebrating the life and times of Dylan Thomas in the area. Cyberia, the first internet café in the UK, was located in Fitzrovia. The University of Westminster has buildings on New Cavendish Street, Wells Street and Great Portland Street. University College London has buildings on Torrington Place, Huntley Street and New Cavendish Street. There are University of London halls of residences on Charlotte Street and Fitzroy Street. The Institute for Fiscal Studies is based at Ridgmount Street and the Royal Anthropological Institute Main office is at 50 Fitzroy Street. All Souls' Church of England Primary School is at Foley Street. The building is Grade II listed. Southbank International School has two of its campuses located within the area, one on Portland Place and another on the northern end of Conway street (just off Warren Street). The Conway campus houses students from grade 11 and 12 where they study the IB Diploma Programme. Fashion Retail Academy is at Gresse Street. In 1970 the Charlotte Street Association was formed to campaign for more housing and to preserve the unique character of the area. A neighbourhood newspaper, The Tower (later renamed Fitzrovia News) was produced in 1973 by a group of activists. The first Fitzrovia Festival was held in 1973 with the theme "The people live here!" in an effort to demonstrate that among the offices, restaurants and cafes there was a residential community that wanted its voice heard and in 1974, the Fitzrovia Neighbourhood Association was formed and raised money to create a neighbourhood centre in a disused glass shop on the corner of Tottenham Street and Goodge Place: The Fitzrovia Neighbourhood Centre was opened in 1975.:p29 The building is Grade II listed. The Fitzrovia Neighbourhood Centre continues to be a place of community action and a venue for voluntary groups to meet and is the office of the Fitzrovia News which is produced four times a year by volunteers drawn from the residential community. An advice and information service and community projects, including the annual Fitzrovia Festival, are also delivered from the Neighbourhood Centre. The Fitzrovia News and Fitzrovia Festival are both supported by the Fitzrovia Neighbourhood Association, a registered charity (no. 1111649). The new Fitzrovia Community Centre is located at 2 Foley Street in the City of Westminster, just across from the Camden borough boundary. Two new neighbourhood planning groups are currently in the process of formation. The Fitzrovia West and Fitzrovia East Neighbourhood Areas have been established by Westminster City Council and London Borough of Camden  respectively. In addition FitzWest, as it has become known has made further application to become a Neighbourhood Forum. Paddington, Marylebone, Kings Cross and St Pancras railway stations are all relatively close to Fitzrovia although none (including Euston) is within the boundary of the area. Many books have been published about Fitzrovia. Among them are: London's Old Latin Quarter, by E. Beresford Chancellor, published by Jonathan Cape, 1930; Fitzrovia, by Nick Bailey, published by Historical Publications, 1981, ISBN 0-9503656-2-9; and Characters of Fitzrovia by Mike Pentelow and Marsha Rowe, published by Chatto & Windus (2001) and Pimlico (2002), ISBN 0-7126-8015-2. Parts of the film Peeping Tom (1960) were shot in and around Newman Passage and Rathbone Street. Parts of Sapphire (1959) were filmed around Charlotte Street. Parts of Phantom Thread (2017) were filmed on Fitzroy Square and Grafton Mews. ^ "Fitzrovia". Collins Dictionary. n.d. Retrieved 24 September 2014. ^ Matthew Sturgis, "All the fun of Fitzrovia"[permanent dead link], Evening Standard, 14 November 2001. Accessed 26 February 2011. ^ Rees, Linus, "Fitzrovia, Guy Ritchie, The Really Free School, and contempt for the media", Fitzrovia News, 17 February 2011. Accessed 20 February 2011. ^ Penny, Laurie, "In defence of squatting", New Statesman, 20 February 2011. Accessed 20 February 2011. ^ W1W 5AS within neighbourhood Westminster 013A, accessed 25 March 2011. W1W 7QW within neighbourhood Westminster 013D, accessed 25 March 2011. W1W 6DN within neighbourhood Westminster 013B, accessed 25 March 2011. W1T 4RX within neighbourhood Camden 026B, accessed 25 March 2011. W1T 7NN within neighbourhood Camden 026D, accessed 25 March 2011. WC1E 7BT within neighbourhood Camden 026A, accessed 25 March 2011. WC1B 3QU within neighbourhood Camden 028A, accessed 25 March 2011. ^ Ramzy, Alwakeel (1 October 2015). "West End 'has worst living environment in the country', according to government report". London Evening Standard. Retrieved 13 October 2015. ^ "Metro". 20 March 2016. Retrieved 21 March 2016. ^ Fitzroy Tavern from pubs.com, accessed 1 December 2009. ^ The Fitzroy: Autobiography of a London Tavern, Fiber and Williams (Book Guild Ltd, London), 1985. ^ Hanks, Patrick; Kate Hardcastle; Flavia Hodges (2006). A Dictionary of First Names. Oxford University Press. ISBN 0-19-861060-2. ^ Goulding, Simon W., "Fitzrovian Nights", LiteraryLondon.org. Accessed 29 November 2009. ^ Willetts, Paul 2003, Fear and Loathing in Fitzrovia: the bizarre life of the writer, actor, Soho Dandy Julian Maclaren-Ross, p. 140. ^ Maclaren-Ross, Julian (2004), Collected Memoirs, with an introduction by Paul Willetts, Black Spring Press, p. 303. ^ "Noho Square is left in bad shape as brothers pull out", Camden New Journal, 6 November 2008. Accessed 29 March 2010. ^ Rigby, Jennifer, "Former Middlesex hospital site in London back on market", Property Week, 3 March 2010. Accessed 7 March 2010. ^ "Fitzrovia – Garden allotments on Middlesex Hospital site in jeopardy", Fitzrovia News, 7 March 2010. Accessed 7 March 2010. ^ Fitzrovia Gardeners condemn Kaupthing's icy response, Fitzrovia News 9 March 2010. Accessed 29 March 2010. ^ Welham, Jamie, "Sale plan wrecks allotment dream at former Middlesex Hospital site" Archived 18 July 2011 at the Wayback Machine, West End Extra, 18 March 2010. Accessed 29 March 2010. ^ Hipwell, Deirdre, "Aviva wins Noho Square scheme", The Independent, 18 July 2010. Accessed 23 July 2010. ^ a b Thomas, Daniel, "Project banks on Fitzrovia’s bohemian appeal", Financial Times, 6 November 2009. Accessed 6 March 2010. ^ a b Derwent London Fitzrovia Exhibition[permanent dead link], accessed 6 March 2010. ^ Your Fitzrovia, 2009, Derwent London[permanent dead link], accessed 6 March 2010. ^ "Don't get me wrong: Simon Silver of Derwent London plc talks to Fitzrovia News", Fitzrovia News, No. 116, Spring 2010. Accessed 6 March 2010. ^ "Derwent London believe nothing is impossible in Fitzrovia", Fitzrovia News, No. 117, Summer 2010. Accessed 23 July 2010. ^ Rees, Linus, "Permission sought to demolish historic workhouse building and build flats", Fitzrovia News, 12 July 2007. ^ Parsons, Rob, "Save Georgian workhouse from wrecking ball says Simon Callow" Archived 18 February 2011 at the Wayback Machine, Evening Standard, 4 November 2010. ^ Bailey, Nick, 1981 Fitzrovia. Historical Publications and Camden History Society, p. 10. ^ Camden History Society, 1997, Streets of Bloomsbury and Fitzrovia: A survey of buildings and former residents, Camden History Society, p. 15. ^ Editors, News. "Camden approves Fitzrovia East neighbourhood area". Fitzrovia News. Retrieved 2 January 2015. ^ Editors, News. "Westminster council settles Fitzrovia and Marylebone neighbourhood area boundaries". Fitzrovia News. Retrieved 2 January 2015. ^ a b Stephen Inwood (2009), Historic London: An Explorer's Companion, Macmillan, p. 229. ^ a b Newman Passage, Fitzrovia, London, on BBC's h2g2, accessed 28 November 2010. ^ a b c d e J. P. Gilbert (ed.) (2008), Michelin Green Guide London, Michelin Travel Publications, p. 107. ^ Goldman (2006) The Cambridge Introduction to Virginia Woolf, Cambridge University Press, p. 9. ^ Virginia Woolf's London: a guide to Bloomsbury and beyond. Tauris Parke Paperbacks, p. 59. ^ "Munro, Hector Hugh (1870-1916) a.k.a. Saki". Blue Plaques. English Heritage. Retrieved 9 April 2019. ^ a b c d e f Pentelow, Mike, and Marcia Rowe, Characters of Fitzrovia Chatto & Windus (2001), Pimlico/Felix Dennis (2002), p. 197. ISBN 0-7126-8015-2. ^ Michael Barber. "Anthony Powell, The Art of Fiction No. 68". The Paris Review. Retrieved 15 June 2012. ^ Viva Fitzrovia by Paolo Sedazzari. A 15-minute film about Fitzrovia, at Dailymotion.com. ^ Your Fitzrovia, Derwent London, 2009[permanent dead link], accessed 7 March 2010. ^ About the Fitzrovia Partnership (official website). Accessed 27 February 2011. ^ "Fitzrovia—Trees Vandalised for fairy lights", Fitzrovia News, 116, Spring 2010, accessed 7 March 2010. ^ Mycampden.camden.gov.uk Archived 4 June 2011 at the Wayback Machine, accessed 5 December 2009. ^ Charities Commission, accessed 20 May 2010. ^ "Neighbourhood Area Designation Notice", City of Westminster. ^ "Fitzrovia Neighbourhood Area" Archived 11 July 2014 at the Wayback Machine, Camden. ^ "Current Neighbourhood Forum Application", FitzWest. ^ James, Simon R.H. (2007). London Film Location Guide. London: Batsford. p. 31. ^ "On Set in London". Charlotte was Both. 3 April 2017. Retrieved 21 July 2017. 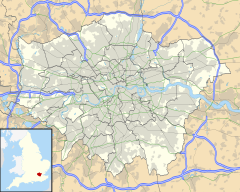 Wikimedia Commons has media related to Fitzrovia.